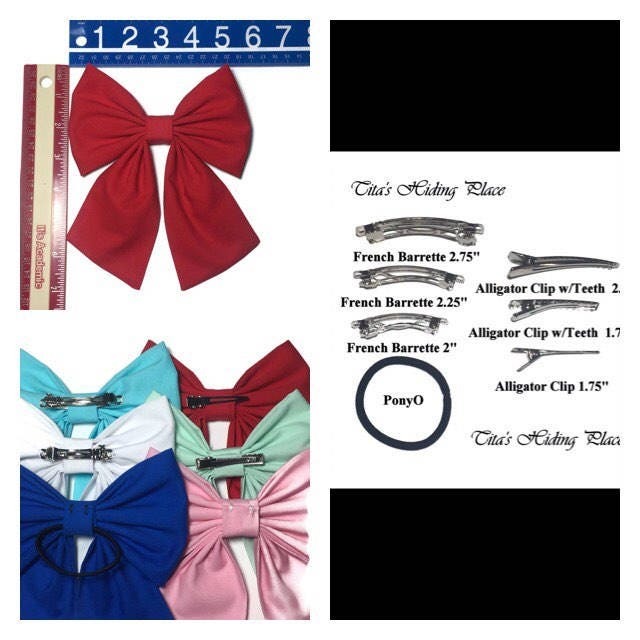 For your convenience, I offer different hair clips so you can choose the one that meet your needs. 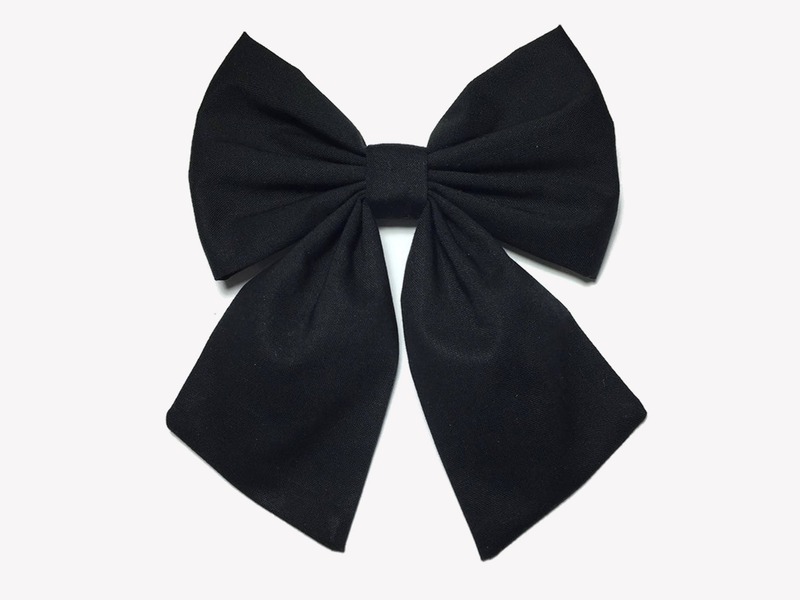 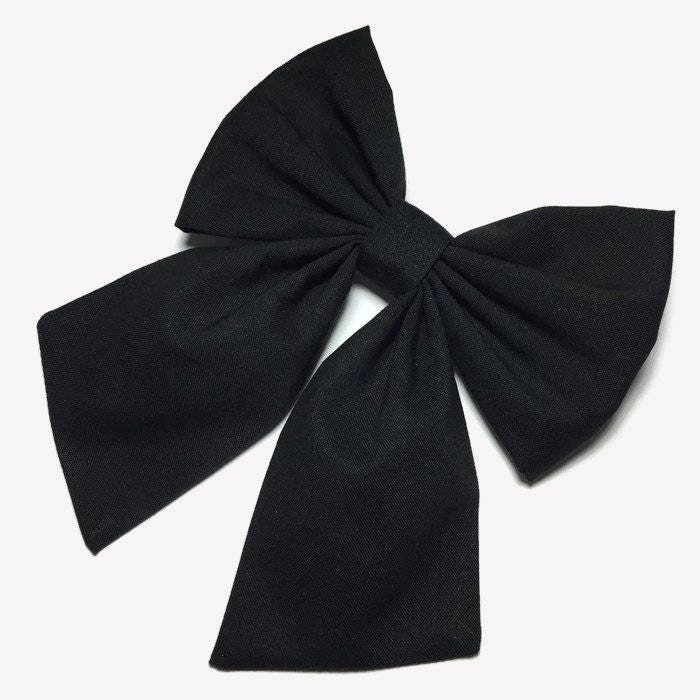 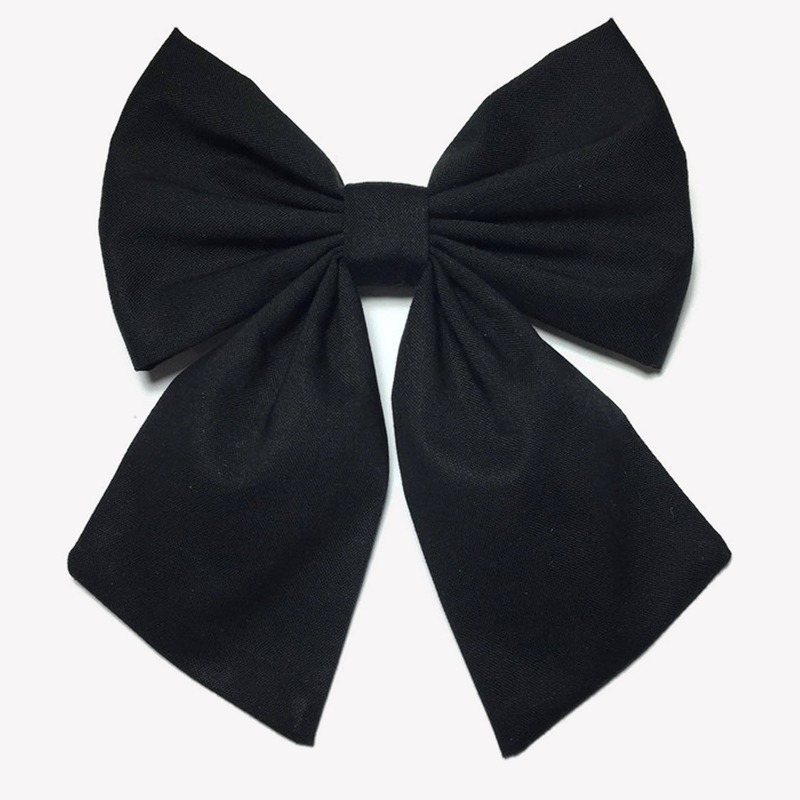 - The hair bow is 5.5 in by 3.5 in (14 cm by 8.9 cm approx.) 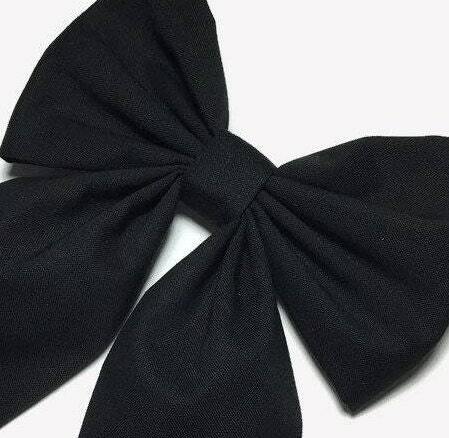 plus tails 5 in (12.7 cm) in length. 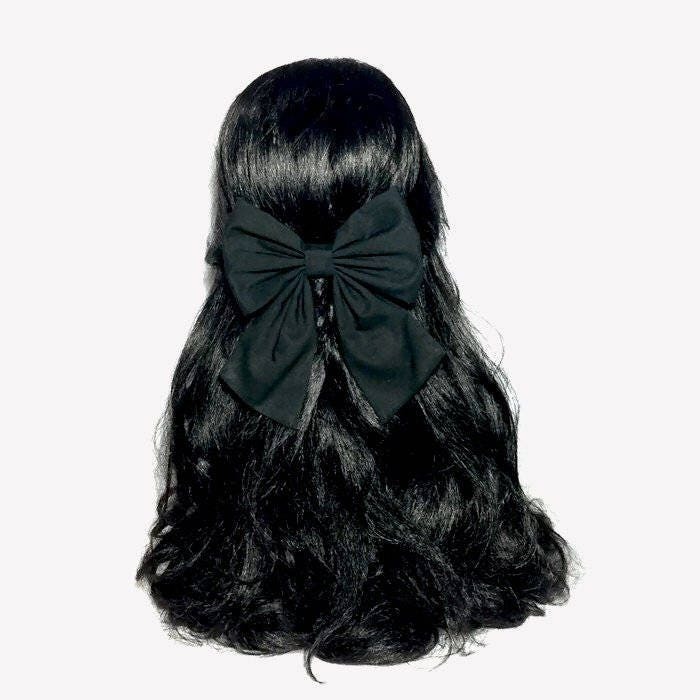 The pictures show the hair bow on an adult head mannequin.